An Aaron Doran corker and a great back post finish from Brad Mckay seemed to be enough to win the Highland Derby in the fifth round of the Scottish Cup on Monday, but Josh Mullins equalised in injury time to ensure a replay at the Caledonian Stadium. The game finished 2-2 at Victoria Park. 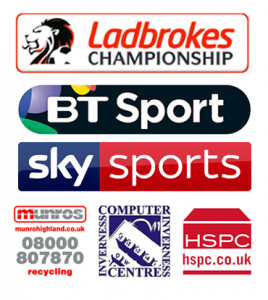 In the build up to the match, Staggies had the bragging rights for the best recent record, winning 2-1 in the most recent domestic game, but the derby games between the two teams had always been a tight affair. The previous two results had ended 0-0 and 2-2 respectively. 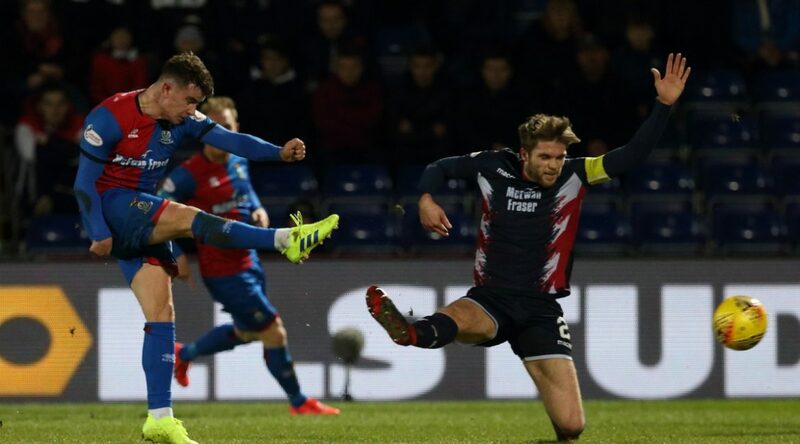 Neither side were short on goals historically at this stage of the competition, ICTFC had scored two goals in four of last five 5th round games, and Ross County had scored an average of 3.7 goals per game in last six 5th round games. In the early stages, the ball zipped between opposing players, with the Caley Jags keeping possession at first. Eventually Ross County’s Michael Gardyne was fouled 40 yards away on the left hand side and from there he generated the first opportunity to test the gloves of Mark Ridgers. The winger’s cross was headed away to Billy Mckay close to the edge of the box, who took the ball down and tried to half volley. His effort couldn’t be kept down and the Northern Irishman blazed the ball over. It was down that left side where Ross County felt most comfortable and it was Michael Gardyne who again won a set-piece. The winger took the ball and cut inside and out near the touchline, making Brad Mckay lose his footing. And cutting back at the goal line, he forced a corner. His cross landed to Jamie Lindsay unmarked on the left side of the box and he had the time to shoot with his weaker foot. But the midfielder shot wide of the target at the near post. ICT were the next to test the goalkeeper from range at the 11th minute. Liam Polworth received the ball on the right hand side and cut onto his left, forcing a freekick from a handball after his marker slipped. Joe Chalmers took it near the right hand side edge of the box and managed to get the ball up and over the wall, The shot was hit low and dipped into the bottom right corner of Fox’s goal, forcing him into a good save to tip away. With that shot on target on the board for the Caley Jags, this gave them confidence to open the scoring in style. Aaron Doran had some history with this tie, scoring a memorable volley at Victoria Park in 2012 during a 3-1 win. And it was he who struck first with an equally dazzling strike. Carl Tremarco cushioned a cross down on the left hand side to Doran in space. He took a touch to put it onto his right and with a slight bounce, the Irishman smacked it from around 25 yards into the bottom corner. Fox had no chance in saving it. ICT were happy to sit back and absorb pressure to then hit back with a counterpunch. This could be shown during a five minute spell near the middle of the first half. After turning to face goal 25 yards away, Ross Draper threaded a pass through to Gardyne with a pocket of space in front of him near the box. The winger drove through and seemed determined to test the keeper but he caught too much of the ball with his left foot and raked it wide via a deflection. Ridgers caught the corner. Four minutes later, Michael Gardyne threatened the goal but this time it was closer. Brian Graham managed to take a good touch from a cross from the left side and he prodded a ball in Gardyne’s path ten yards inside the box, but his near post shot was palmed away by Ridgers. ICT reacted immediately with great teamplay between the front three. Aaron Doran and Liam Polworth worked the ball between them on the left hand side and after turning to pass infield, the latter threaded the ball to Tom Walsh 20 yards away from goal in the middle of the pitch. The recently returned winger took a touch and then tested Fox with a great right footed shot that was moving from right to left. The last chance of the first half fell to Tom Walsh again. Carl Tremarco’s lofted pass from the left hand side was flicked on into the path of Walsh, who did well to keep his half volley down – hitting it into the ground an threatening to loop the goalkeeper, but it could only go out for a corner. From the start of the second half, ICT were out of the blocks with a breath-taking effort on goal from an unlikely supplier. Leftback, Carl Tremarco received the ball perhaps 30 yards out and hit it sweetly, with the ball moving fast and low. Scott Fox seemed deceived by the trajectory and was already on the ground, and had to stick a leg out in the opposite direction to deflect the attempt away. Perhaps remembering the last tie between the two teams, Brian Graham was taken off for Ross Stewart, who notched the winner during the last Highland Derby. It was he who equalised shortly afterwards. 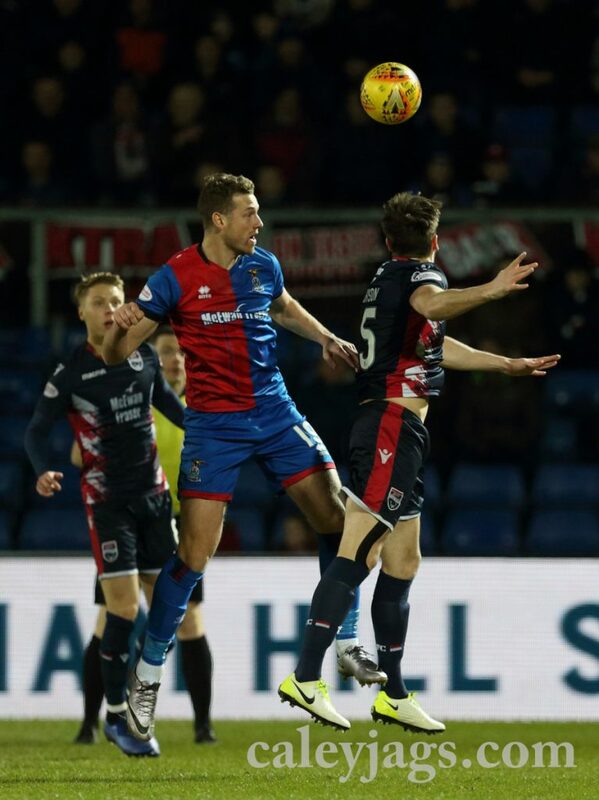 ICT’s defence were throwing themselves in front of every cross and shot from Ross County around the box but eventually it rolled to Gardyne on the left who could only take a first time cross with his weaker foot. New sub-Stewart was the first to reach the ball and he directed it away from Ridgers at the back post and into the back of the net. Immediately after the kick-off, the ball landed to Stewart again on the left side of the box but his left footed effort was blocked by Brad Mckay. At the 58th minute Aaron Doran was the first to meet a lofted cross from Welsh on the right hand side, beating Jordan White who was just behind him. But the winger couldn’t direct his header on target and it went out for a goal kick. Six minutes later, Liam Polworth was the next player to have an attempt at goal from long range. His drive with little backlift deflected over for a corner and Caley’s number seven took the set-piece. 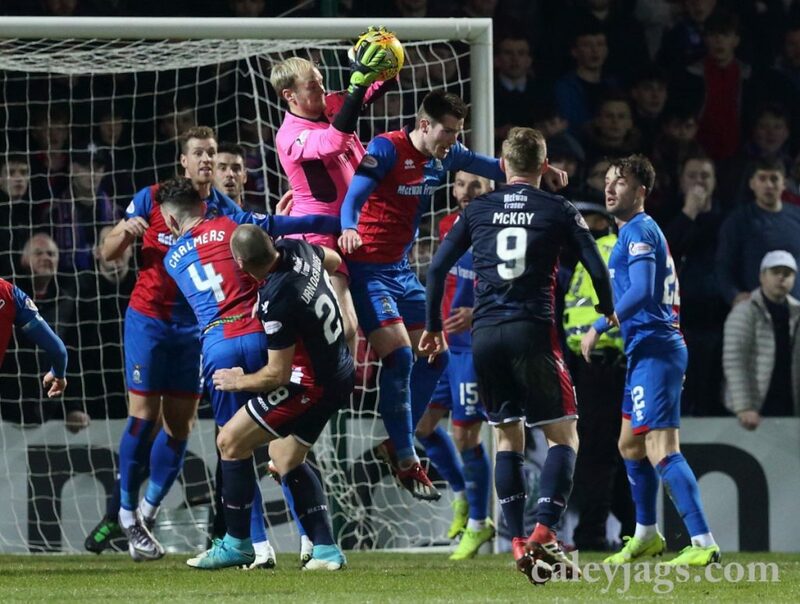 Through a scrum of players, it landed fortuitously to Brad Mckay near the backpost, who took his time to thump it home with his shooting boots to get the Caley Jags ahead again against the Stags. From then on, ICTFC became a wall. Mark Ridgers caught countless corners and seemed to attract the ball to his hands during every cross. 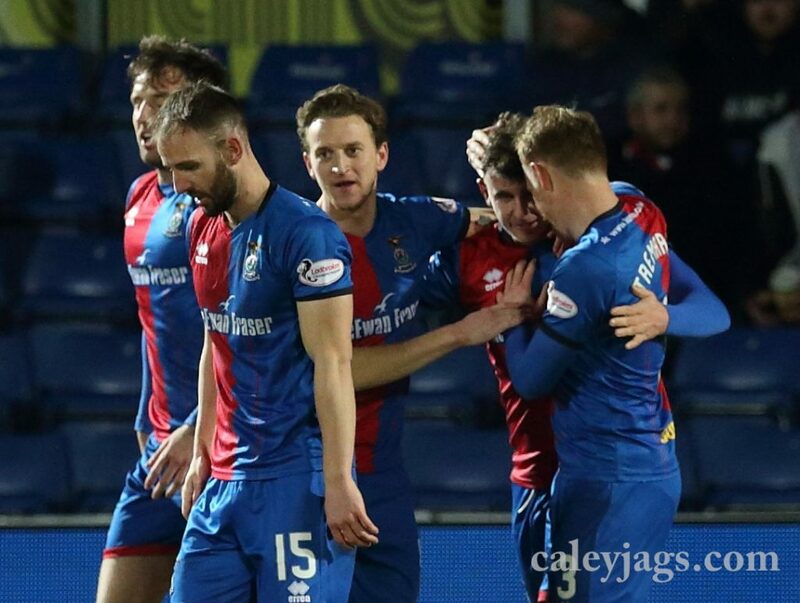 The stout backline were hard to break down and it seemed that the Caley Jags would be returning home with their spot secured in the next round. But two substitutes managed to break the backline in heartbreaking fashion. Declan McManus touched a ball around Brad McKay and with only the goalkeeper to beat, he hit it straight at Mark Ridgers to save. The next effort was more fortunate for the hosts. 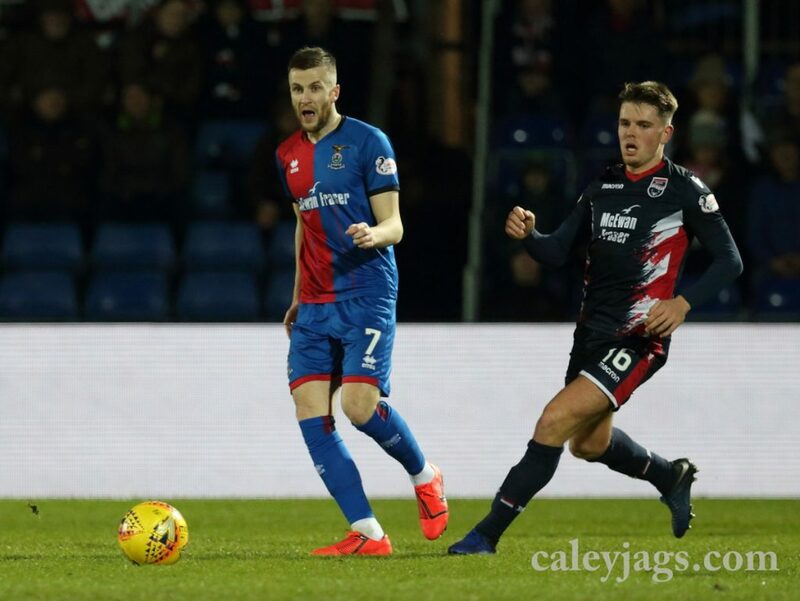 Josh Mullins was barely on the pitch when he received the ball behind the backline and after getting the ball under control on the right hand side, he slipped it under Ridgers at the near post to take the fixture to a replay at the Tulloch Caledonian Stadium on Tuesday 19th February.